Even though it’s almost summer, the movie industry doesn’t stop in April. This week came news of a potential paradigm shift in VOD releasing and plenty of filmmaker gossip to follow guiltily, while we mourned the loss of a promising documentarian. 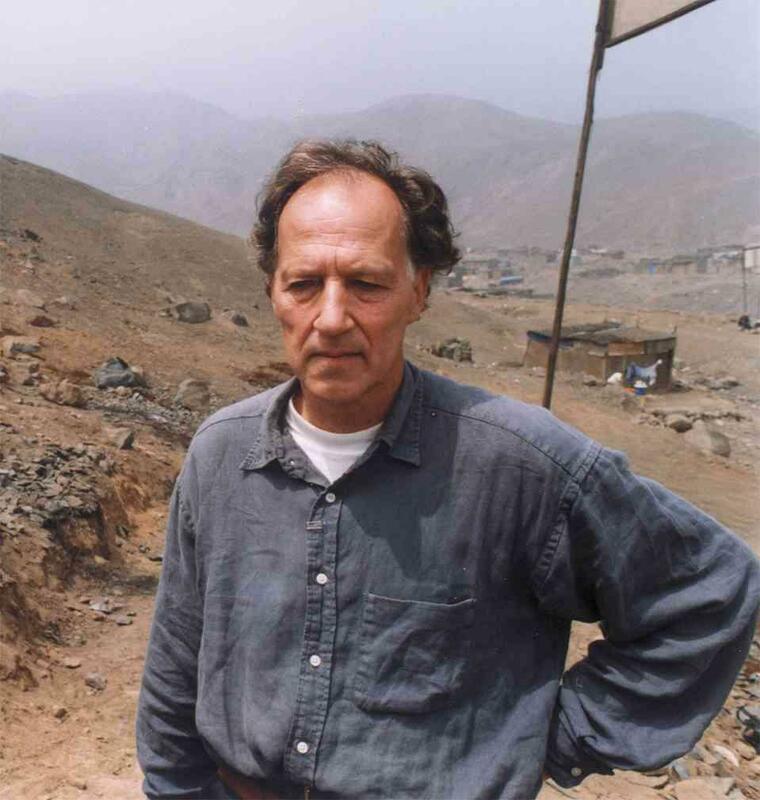 –Werner Herzog ruffled a few feathers in a recent GQ interview. Among his eccentric insights, tied into the coming release of “Cave Of Forgotten Dreams,” is the suggestion that all actors in a Herzog film should milk cows, that “The Warren Report” is essential reading, and that Federico Fellini made “bad films.” We can also confirm that he is a Donruss fan, and has no interest in an “irrelevant” brand like Topps. -The long-awaited Beastie Boys’ short film “Fight For Your Right Revisited” finally hit, featuring big-name talent like Seth Rogen, Danny McBride, Susan Sarandon and Will Ferrell. You can watch the much-ballyhooed clip online, but the consensus was that the feature, which found the future Beasties encountering modern-day versions of themselves, was merely an agreeable time-waster at best. -In an industry bombshell, the major studios announced a premium VOD plan that allowed for the Video-On-Demand release of theatrical releases sixty days after a theatrical showing. This plan has been met with the ire of a number of big-name filmmakers, including James Cameron, Kathryn Bigelow, Michael Bay and Michael Mann, and with good reason – it severely shortens the gap between theatrical and home distribution, further cheapening the theatrical experience, while also providing studios yet another way to cut theater chain profits. It was already bad enough that the blockbuster mentality, which ensures a film’s first weekend is well-attended, is crippling smaller theaters nationwide, as the longer a film plays, the larger a percentage of the gross goes to the exhibitors. Fortunately the plan is unreasonably priced, with the first movie offering being “Just Go With It” at $30 a pop, a purchase we wouldn’t even make at someone else’s house out of drunken spite. -The new trailers for highly anticipated summer comedy “30 Minutes Or Less” and indie picture “The Art Of Getting By” both arrived online. ’30’ was our first look at the Ruben Fleischer comedy, and while it was a brief red-band clip, the footage looked curiously toneless. And ‘Art,’ from The Playlist’s second least-favorite writer Allan Loeb, looks to be the latest in the bizarrely popular subgenre of precious NYC hipster youth movie, while also being entirely unrecognizable to the Playlist staffers who grew up as hipster youths themselves. -Terrible news out of Libya, as we mourned the passing of filmmaker Tim Hetherington. Hetherington, who was felled while covering the fighting in Misurata, had been an accomplished photo-journalist who stepped behind the camera as co-director on “Restrepo,” which this year was nominated for an Academy Award for Best Documentary. Our thoughts and prayers go to Mr. Hetherington’s family and friends. -Kevin Jagernauth, spurred on by recent murmurs of a movie based on the short-lived Starz show “Party Down,” wrote a sharp and level-headed piece as to why a spinoff film will sadly never happen. We were surprised to learn there was such a vocal contingent of “Party Down” fans who weighed in fairly comprehensively on the article. Where were you when “Perfect Couples” was yanked off the air?? -Another week, another update on “The Dark Knight Rises.” While Christopher Nolan and company remain interested in playing it close to the chest, it was divulged which roles Joseph Gordon-Levitt and Marion Cotillard will be playing. Levitt will feature in the superhero sequel as the fake-sounding John Blake, a beat cop called into duty by Commissioner Gordon. Cotillard will play Miranda Tate, a Wayne Enterprises employee dedicated to helping Bruce Wayne continue his father’s philanthropic endeavors. Also, at the end of the movie, they become the Mad Hatter and Poison Ivy and they team up to fight Robin after Batman’s untimely death. –Jeremy Renner is the new face of Hollywood. The Oscar-nominated actor saw his star rise after “The Hurt Locker” and audiences will see him in “Mission: Impossible Ghost Protocol,” “Hansel And Gretel: Witch Hunters” and next summer’s “The Avengers.” Universal also seems to like what Renner is selling and, despite an 11th-hour rumor that Joel Edgerton was the man, Renner looks set to be the face of “The Bourne Legacy.” Plot details are under wraps, but it does seem likely that Renner will have to do a lot of running, and possibly even some jumping. -Finally, Tyler Perry took a stand against Spike Lee’s criticisms, telling him to “go to hell” for the “Do The Right Thing” director’s harsh critique of Perry’s work. Perry’s comments seemed to paint Lee as some sort of bully and himself as a martyr for his cause despite the fact that his net worth is in the realm of hundreds of millions yet he has never been responsible for a single watchable film or television show. Most of the traffic to the piece stemmed from commentators informing us that journalism should always be “objective,” which we found to be an eye-opening revelation. Keep us honest, guys!